Those who read Caroline Glick’s columns in the Jerusalem Post are familiar with the eloquence and passion that make her not only one of Israel’s most prominent commentators but one of its finest writers. (She has just published "Shackled Warrior ," a collection of her essays in English). Writing in Hebrew is a qualitatively different experience than writing in English. . . . [Hebrew] has fewer words and the words it has are denser and more flexible than English words. A 1,200-word essay in Hebrew will be 1,800 words in English. . . . The density of meaning in Hebrew is a writer’s dream. Nearly anyone can imbue a seemingly simple sentence with multiple, generally complementary meanings simply by choosing a specific verb, verb form, noun or adjective. These double, triple and even quadruple meanings of one word are a source of unbounded joy for a writer. . . .
Modern Hebrew in particular is an eclectic amalgamation of classical Hebrew, Yiddishisms, and expressions from the Sephardic Diaspora experience. Greek, Roman, Aramaic, Turkish, Arabic and English expressions meld seamlessly into the stream of words. It is not simply that it is the language of the Bible. Hebrew is also an expression of the unique culture of a small, proud, often besieged, often conquered and permeable people. It is unbelievable that a language can be so immediately and unselfconsciously expressive of feelings that have traversed millennia. Leaving America is difficult on several levels. In my own experience, it involved physically separating from my entire family. It also involved cutting myself off from my language -- English -- and immersing myself completely in a tongue I had yet to master. Beyond that, it meant leaving a country that had done only good for me and for the generations of my family who fled to America from the pogroms in Eastern Europe at the turn of the twentieth century. . . .
Israel is a troublesome, hard, often irritating place. It is a young country that belongs to an ancient, eternal people who are all imperfect. Some Israelis, particularly those who today occupy the seats of power, are weak and irresponsible and often corrupt and self-serving. Israelis have quick fuses. Among other things, this distinctively Israeli rush to anger makes being stuck in rush hour traffic a bit like dancing a waltz in the middle of a shooting range. Then too, service is not a concept that most Israelis -- particularly in service professions -- are even vaguely familiar with. Beyond the general fallibility of Israelis, there are the wars and the hatred and the terror that make up so much of life in Israel. Being surrounded by enemies and living in the midst of jihad-crazed Arab states is like sitting on the edge of a volcano. And rather than acknowledge the danger and contend with it, Israelis -- frustratingly and dangerously -- more often than not blame one another for the heat while ignoring its source. Yet once a Jew catches the Zionist bug, none of that is important. Once a Jew allows himself or herself to feel the pull of our heritage, of our language and our land, the frustration, danger and hardship of living in Israel seems like second nature -- as natural as breathing in and out. I recently moved to a home on the edge of a valley filled with forests and carpeted by wildflowers. Every day I hike for an hour or two along the trails below. A few days ago, as I walked late at night, I considered the dark and silent hills surrounding me and felt safe. They were liberated in 1948. Israel lives in me, as it lives in all Jews. It is who we are. And those of us lucky enough to recognize this truth and embrace it in all its fullness and depth are the luckiest Jews in the world. 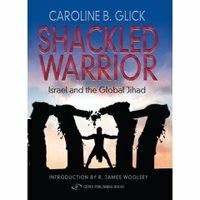 Caroline Glick moved to Israel in 1991, after receiving her BA in Political Science from Columbia University, and served in the IDF as an officer for more than five years, the last three of which she spent as a member of Israel’s negotiating team with the PLO. She later served as Prime Minister Binyamin Netanyahu’s assistant foreign policy advisor. After she left government in 1998, she received a Master’s from Harvard University in Public Policy and returned to Israel as a senior commentator and editor at Makor Rishon newspaper. In 2002, she joined the Jerusalem Post as senior columnist and deputy managing editor and during Operation Iraqi Freedom in 2003 was embedded in the front lines with US infantry forces, reporting for the Jerusalem Post, Ma’ariv, Israel TV’s Channel 2 and the Chicago Sun Times. In 2003, Ma’ariv named her the most prominent woman in Israel and in 2005 she was presented with the ZOA's Ben Hecht Award for Outstanding Journalism on the Middle East. Read the essay. Buy the book. (Hat tip: Richard Baehr). Every nation actually committed to peace will stop the flow of money, equipment and recruits to terrorist groups seeking the destruction of Israel -- including Hamas, Islamic Jihad, and Hezbollah. Every nation actually committed to peace must block the shipment of Iranian supplies to these groups, and oppose regimes that promote terror, like Iraq. And Syria must choose the right side in the war on terror by closing terrorist camps and expelling terrorist organizations. After that, Syria (1) sided with Saddam Hussein just before the 2003 Iraq war, (2) provided refuge in 2003 (and since) to Ba’athist extremists trying to undermine the new Iraqi government, (3) rejected multiple overtures during 2003-2005 from senior officials of the Bush administration who traveled to Damascus to meet with Bashar al-Asad, (4) was undoubtedly involved in the February 2005 murder of Lebanese Prime Minister Rafiq Hariri, (5) supported Hezbollah in its 2006 war with Israel, (6) has been restocking Hezbollah since 2006 with more rockets than it had before, in direct violation of the UN Resolution that ended the war, (6) was building during all this time a nuclear facility in secret with the help of North Korea, and (7) has been providing the headquarters for the leaders of Hamas. It sure seems like Syria made its choice. The dominant view of Syria that has developed in Washington during [the past seven years] is that of a country ruled by an unreliable leader, with ruthless ambitions to dominate its smaller Lebanese neighbor, harboring Palestinian terrorists and Iraqi insurgents, and maintaining an alliance with Iran – a strategic adversary of the United States. Just about every leader that has attempted to deal with President Bashar al-Assad has come away frustrated. The list includes Colin Powell, Tony Blair, Nicholas Sarkozy, Hosni Mubarak and Saudi Arabia’s King Abdullah. Maybe if a U.S. president just offers Syria change it can believe in (and throws in Lebanon and the Golan Heights while deserting Iraq), the results will be different. Secretary of State Colin Powell went in May 2003; I had the privilege of visiting myself in September 2004 as part of an interagency delegation with Assistant Secretary of State William Burns; and Deputy Secretary of State Richard Armitage had a similar meeting with Asad in early 2005. In each case, the Syrians’ response was that destabilizing Iraq and killing Americans were the furthest things from their minds; they did confess to having trouble controlling the Syrian-Iraqi border, and asked for our technical assistance. The concern that the American side expressed, however, was that the main problem was not border control but the evident policy of the Syrian government to allow sanctuary inside Syria for political organizing by Iraqi extremists directly involved in those hostile activities. We even gave them names of senior Iraqi extremists who we knew were operating out of Syria. As we told President Asad, we had a hard time believing that the Syrian government did not have control over these kinds of activities on its territory. In response, they turned over one Iraqi radical, if I recall correctly. And the Syrians are masters of spin. Each of these visits by senior Americans was meant to convey a serious warning and to ratchet up pressures on Damascus to reverse its disruptive and destructive policy. Our talking points, I recall on my own visit, were as blunt and tough as any talking points I have seen in many years (and we let President Asad know they had been cleared by President Bush). But the Syrians always publicized the fact of the high-level meetings as a sign that U.S.-Syrian relations were excellent. This conveyed a wrong impression to everyone, including our friends in the region. In other words, while our tough talking points were meant to ratchet up pressures, the Syrians spun the visits into relief from pressures. Syria sees Iran as the regional superpower of the future, an impression Asad has little reason to discard when the debate in the United States so foolishly ignores the regional implications of a substantial American drawdown in Iraq. . . . He prefers to take his chances with a fight, with Iran on his side. The problem would seem to be not only Syria’s behavior, but the very nature of the regime, especially that of the Asad dynasty. It is useful to consider Syria as another Cuba or North Korea, with which it bears many similarities. All three countries are ruled by dictatorial family dynasties cloaked in anti-Western ideologies that legitimate them and ensure their survival. For this reason, Bashar Asad is unlikely to be “bought” by the West. . . .
What Bashar is proposing to the United States is an honorable capitulation: that it depart from Iraq, abandon Lebanon, pressure Israel to return the entire Golan Heights, and acquiesce in Syria’s continued membership in the region’s Iran-centered “axis of evil” (with no more than a vague Syrian hint of a possible future withdrawal from that axis). If Martin Indyk is in the next administration, the U.S. will undoubtedly encourage him. Boker Tov, Shavua Tov and Happy Anniversary to Boker tov, Boulder! Today is the fifth anniversary of perhaps the best blog in the JBlogosphere. There certainly is none better. There is room for everyone in the blogosphere, where your point of view is judged only by the skill of your writing and the merit of your thoughts. . . . The day has arrived when the established media no longer control and define public discourse. Suffice it to say the person at the New York Times with whom she had the correspondence that led to her blog is no longer in the established media (and the NYT itself is barely holding on), while Anne is a new-media superstar. She goes from strength to strength. Yasher koach. The evenhandedness that Berman, 67, is perceived to bring to the job has earned him praise from both parties, a rare honor in the highly partisan atmosphere that has pervaded Congress in recent years. . . . While Berman defines himself as a liberal, on Middle East issues he is perceived by a broad swath of Jewish communal officials to be firmly in the mainstream. “I have known Congressman Berman for many years, and I am continually impressed by his personal commitment to strengthening the bond between the United States and Israel,” said Larry Weinberg, a board member of the American Israel Public Affairs Committee. . . .
Several Capitol Hill insiders contacted by the Forward said that Berman stands out for his willingness to listen and learn about Middle East issues. While many lawmakers come to speak at the Washington Institute for Near East Policy’s annual fall seminar, he is the only one who sits through three days of discussions and presentations, even when he is not a speaker. Berman was born in Los Angeles, graduated from Hamilton High, UCLA and UCLA Law School. He has been in Congress since 1983. The remarkable story of Israel’s foundation and survival is inspiring. Shortly after the decision by the United Nations to partition the Palestine of the British Mandate into Jewish and Arab states, Israel declared its independence on May 14, 1948, in Tel Aviv. In response, Israel’s Arab neighbors invaded the new, and tiny, Jewish state. And, to the surprise of the so-called experts and pundits everywhere, the nascent Israel Defense Forces prevailed, defending the people of Israel and soundly defeating the Arab coalition. "French President Nicolas Sarkozy called the emergence of the state of Israel a "miracle of the 20th Century." However, Golda Meir once remarked that there had been too much self-sacrifice and too many lives lost for Israel’s emergence to be considered a miracle. "But the establishment and evolution of the state of Israel can be considered without doubt one of the dazzling human achievements of our times. Hundreds of thousands of Jews and their descendants have escaped oppression -- or worse -- because Israel exists. Spurning the authoritarian model that dominates its region and persevering in a sea of enmity, Israel has built a world-class civilization: a vibrant democracy, a thriving economy, and a culturally and academically rich society. "The American people -- and particularly the United States Congress -- have contributed mightily to Israel’s sustenance and security over the years. Of that we are justifiably proud. "But Israel’s triumphant story is also tinged with tragedy. Each year, just before its Independence Day, Israel honors soldiers who have fallen in its defense. A siren sounds all over the nation, and Israelis everywhere stop to remember. "This minute of silence is a poignant memory for all who have witnessed it. But it is also, unfortunately, symbolic of Israel’s wider regional reality. For Israel has lived under the Damoclean threat since its birth. . . .
". . . Israel today lives under potentially greater threats to its wellbeing and existence than ever before. The daily rocket assaults from Gaza, controlled by fundamentalist Hamas, have wreaked vast physical and psychological damage on the people of Sderot, not to mention the fact that they have killed more than a dozen Israelis. And increasingly sophisticated rockets are being used; they are more deadly accurate by the day, and they have greater range. In Israel’s north, Hezbollah’s replenished missile supply poses an even greater threat. "On the other end of the military spectrum, a theologically-based state -- the Islamic Republic of Iran, whose President says Israel should be "wiped off the map" -- is developing nuclear weapons and long-range missiles. . . .
". . . now it is time to reaffirm our nation’s pledge to Israel: that we will stand in solidarity with Israel against all violent assaults on its security and wellbeing. From the first, the nationalism of Palestine's Arabs was blatantly religious. . . . Indeed, when the Palestinian national struggle turned significantly violent, against the British in 1936-1939 and against the Zionists in 1947-1948, the struggle was defined by the movement's leaders as "a religious holy war," a jihad. . . . In 1925, the mufti of Gaza, Hajj Muhammad Said al-Husseini, issued a fatwa forbidding land sales to Jews. The Jews, he said, were no longer a protected people (as they had been in the Islamic world during the previous thirteen centuries). Muslims who helped them were to be treated as heretics, and Christians who aided them were to be deported. A more comprehensive fatwa against land sales was issued by the ulama (the authorities on law and religion) of Palestine in January 1935. It declared that "the seller and speculator and agent in [the sale of] the land of Palestine to Jews" abetted the prevention of "the mention of Allah's name in mosques," and accepted "the Jews as rulers," and offended "Allah and his messenger and the faithful," and betrayed "Allah and his messenger and believers." . . . .
[I]n 1947, Jamal al-Husseini, Hajj Amin's cousin and deputy, reportedly called for the murder of land-sellers: "Murder them, murder them. Our religion commands this and you must do as the religion commands.". . . The founding declaration of the Higher Arab Committee, the executive body chaired by Hajj Amin alHusseini that was to lead the Palestinians both in the 1936-1939 Revolt and in the 1947-1948 war against the Yishuv, referred to the Palestinian National movement as "the holy national jihad movement." The following year, in July 1937, those who supported the British Peel Commission recommendations -- to partition Palestine into Arab and Jewish states -- were denounced as heretics, whereas those destroying Jewish property would be declared saints. Ideologically, it is only a short leap from these utterances to those of the Hamas, the Islamist movement which today dominates the Palestinian political arena and Palestinian nationalism. . . .
Palestinian nationalism may not have been during the Mandate, and may not be today, quite the secular, democratic, and open nationalism of modern Western Europe; and it may still be defined in large measure by what it wishes to destroy rather than by what it hopes to build. It is intolerant, violent, and -- above all -- religious. But it is most certainly a variety of nationalism. The first “path” is the one Jimmy Carter ignominiously traveled this week: engage Hamas. Forget the Roadmap requirement that Hamas be dismantled. Forget the Quartet demand that Hamas recognize Israel, renounce terrorism and commit itself to previous Palestinian agreements. Impose no conditions at all. Malley, who served as President Clinton's special assistant for Arab-Israeli affairs, once wrote that Yasser Arafat saw in every ultimatum “a last demand before the next concession.” Malley has now become the latest example of the efficacy of this Palestinian approach. Wait long enough, and Roadmap requirements for final status negotiations will be waived. Just say no, and Quartet conditions for diplomatic engagement will eventually wither. Syria is unlikely to sever its thirty-year relationship with Tehran, cut off its principal Lebanese ally and main source of influence in that country, or abandon its Palestinian partners in the PLO and among the Islamists. These connections, built over years, have supported Syrian strategic and political interests on a host of regional issues --Iraq, Lebanon, Turkey, the Gulf, as well as economic and intelligence matters -- of which the conflict with Israel is only one. Syria will not sacrifice its influence in the region for the sake of a newly minted agreement with Israel or the uncertain prospects of resumed contacts with the US. The underlying theme of the Agha & Malley “paths” is that nothing is more important than a peace agreement. Thus if the conditions set for final status negotiations or diplomatic engagement cannot be met, the conditions become the obstacle to peace and must be overcome. The ultimatum becomes the next concession, as will the ultimatum after that. Hussein Agha and Robert Malley have published another article on the “peace process” (“Into the Lion’s Den”) in the May 1 issue of The New York Review of Books. For Israelis, signing the accord will be tantamount to making concessions to a Palestinian Authority that is unable to control its territory, speak for the entirety of its people, restrain violent militants, or halt rocket fire. . . .
Israelis will also doubt that the deal reflects Palestinians' collective feelings. A move designed to placate their US ally, save their Palestinian partner, and resuscitate their prime minister will smack of political opportunism. . . .
Palestinians will see [a shelf agreement] as relinquishing their most sacred rights . . . For many Palestinians, a state was never the ultimate goal, let alone a venerated prize. . . . In their eyes, [the two-state solution’s] three most enthusiastic backers are also viewed as the least legitimate: Israel, which, as the Israeli prime minister put it, will be "finished" without a Palestinian state; the US, which feverishly is trying to realize its president's "vision"; and that narrow slice of the Palestinian parasitic elite that benefits mightily from the Palestinian Authority . . . . It is a perfect peace storm: the weakest, least experienced prime minister in Israeli history, backed by a lame duck American president leaving office within a year, negotiating “peace” with the Mayor of Ramallah. Agha and Malley’s own ideas for peace are even more hallucinatory. We’ll look at them in the next post. 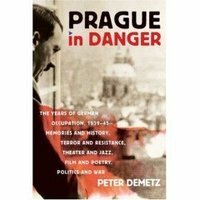 Peter Demetz: "Prague in Danger"
IN THE MAIL: Peter Demetz, “Prague in Danger: The Years of German Occupation, 1939-45: Memories and History, Terror and Resistance, Theater and Jazz, Film and Poetry, Politics and War” (Farrar, Straus & Giroux), being published on April 15, 2008. Peter Demetz is Sterling Professor Emeritus of Germanic Language and Literature at Yale University. He was born in Prague in 1922 and immigrated to the United States in 1948, where he received a master’s degree at Columbia and a Ph.D. from Yale. Czechoslovakia had signed treaties with France in 1926 and with the Soviet Union in 1935 precisely to protect itself against German aggression -- the Soviet Union promised to intervene, but only if France acted first -- but it remained exposed and vulnerable. . . . When, only two months after the Nazis’ annexation of Austria, German troops readied to march across the border in May 1938, the Czechoslovaks partly mobilized, and the situation became increasingly ominous. The ambassadors of France and Great Britain delivered a note to President Edvard Benes on September 19 demanding that the republic hand over its Sudeten territories to Germany in exchange for a guarantee of its new borders . . .
On September 23, in a desperate gesture, Czechoslovakia once more mobilized its army and air force. Hitler’s ally Benito Mussolini then proposed a four-power meeting to resolve the Czechoslovak crisis. The famous conference convened on September 29-30 in Munich . . . . The Sudetenland was to be united with the Reich as of October 1; this and further concessions deprived the Czechoslovak Republic of a major part of its historical territory, its principal fortifications against Germany, and much of its iron, steel, and textile factories. . . . The Munich Conference not only deprived Czechoslovakia of defensible borders . . . The echoes of Czechoslovakia still reverberate to the present time. The question asked how Gordis had moved progressively from the Left toward the Right after he moved from Los Angeles to Israel in 1998, at the height of the Oslo process. Gordis began by remarking that he is probably the only person who can say that he voted for Jesse Jackson and then Ariel Sharon (and then Ehud Olmert, to his regret).